We’re still being smart with our leftovers around here, and at my house, we have lilikoi or passion fruit literally dropping on our heads. My husband and my daughter made two jars full of lilikoi syrup while I was out getting my hair cut, and while I love passion fruit green tea and will certainly have plenty, I knew this time I needed to make a cocktail. 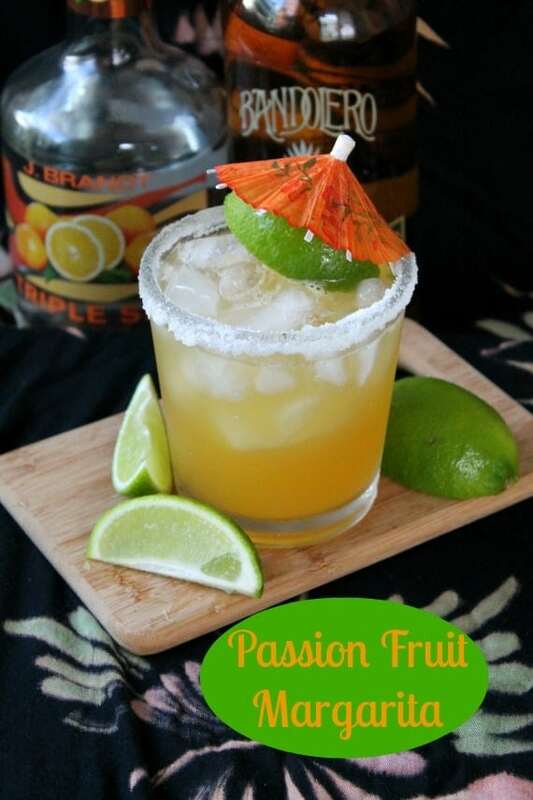 It’s passion fruit margarita time. The end of a long and crazy week requires a cocktail of the sweet tart variety. Preferably strong, bonus points for a lovely color and an awesome sugar rim. Do it up right. You worked hard; you deserve it. We mix tequila, triple sec, lilikoi syrup, and a bit of lime juice, pour it over crushed ice, then put our feet up under a palm tree if we can find one. If not, maybe draw a palm tree, and tape it to the wall. It’s almost the same thing. Put your favorite music on. Order take out. Make things easy on yourself. Then commence being awesome! Wasting food is like throwing money in the trash. Making delicious food out of the stuff that’s taking up space in your fridge tastes good, helps you clean, and saves you money. It’s nothing but win. Wrapping up a week of leftovers with a tasty cocktail gets you a gold medal. Celebrate! With tequila!!! Happy Friday! 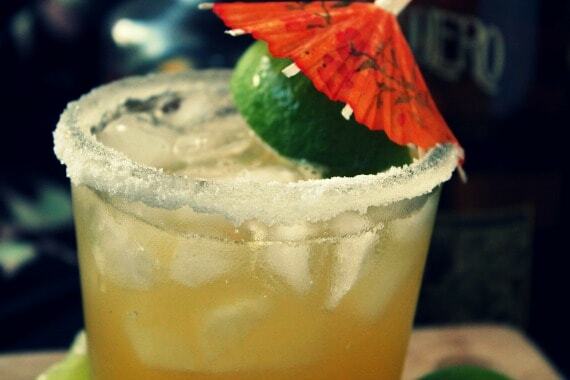 A sweet and tart margarita with a tropical flair. 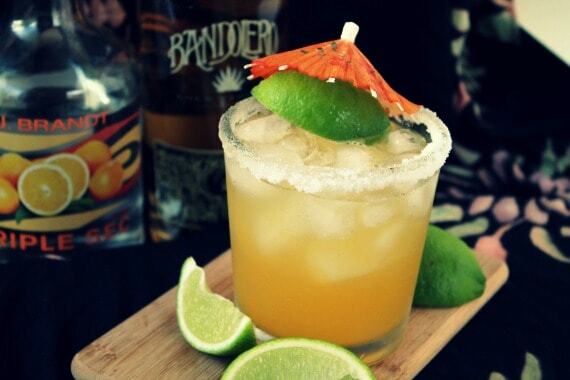 In a cocktail shaker or a separate glass, combine syrup, tequila, lime juice and triple sec. Stir or shake to combine. Use water or a bit of lime juice to wet the rim of your glass. Put the sugar on a plate, then press the rim of your glass into the sugar. Fill your cup with crushed ice and pour your margarita over it. Sip and smile.